There has never been a shortage of Italian/American singer/actors down the decades, so I thought I might write a little about the more accomplished ones. It would be fair to say that Francis Albert Sinatra (1915-98) deserves to head the list. Not only was he a wonderful singer, but he also managed to win a Supporting Actor Academy Award and a Golden Globe for From Here to Eternity (1953). He won a second GG for Pal Joey (1957) and was Oscar- nominated for The Man with the Golden Arm in 1955 as well. 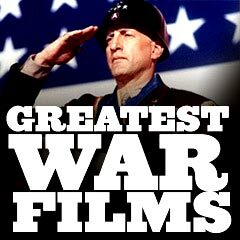 Other significant screen appearances include Anchors Aweigh (1945), Take Me Out to the Ball Game (1949), Guys and Dolls (1955), High Society (1956), The Manchurian Candidate (1962) and Von Ryan’s Express (1965). His love life was far from dull either with his tempestuous marriage to screen siren Ava Gardner providing fodder for the tabloids for years. He was also married to actress Mia Farrow. 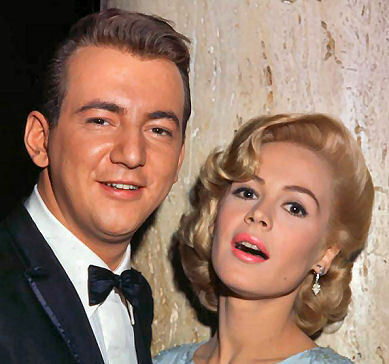 Bobby Darin was born Walden Robert Cassotto (1936-73) and hit it big on the pop charts with his million-selling single ‘Splish Splash’ in 1958. It was his fourth gold record ‘Mack the Knife’, however, that really put him on the map. He made the film Come September in 1960, met 16 year old actress Sandra Dee on the set and married her in December that same year. Bobby also won a ‘Best Male Newcomer’ Golden Globe for his performance in the picture. A couple of years later he was Oscar-nominated for Captain Newman, M.D. Rheumatic fever as a child had scarred his heart, resulting in his requiring a six-hour operation in 1973 to replace valves in the seriously damaged organ. He died in the recovery room just minutes after the operation had been concluded. Alfred Arnold Cocozza was born in Philadelphia, Pennsylvania in 1921 to Italian parents. He changed his name to Mario Lanza in 1942. MGM put him into The Great Caruso (1951) and Because You’re Mine (1952), then had to replace him in The Student Prince in 1954 when he clashed with the director and walked off the set. Edmund Purdom mimed to his brilliant vocals in the picture and Lanza descended into a year of boozing and overeating. By the time of his death at 38 in 1959, he was still seen as ‘the greatest tenor in the world’. A terrible waste of an extraordinary talent. Perry Como was born Pierino Como in Pennsylvania in 1913. He would start his working life as a barber, but his prodigious vocal talent would ultimately lead to a staggeringly successful career as a recording artist. He also appeared in a few movies, usually playing himself. His singing (and sometimes acting) career spanned over six decades. In one particularly extraordinary week in the 1940s, his records sold over one million copies! In the fifties, eleven of his singles topped the million sales mark each. He only made four movies, none of them memorable, but he sure could sing. Dean Martin hailed from Steubenville, Ohio where he entered this world as Dino Crocetti in 1917. His screen career kicked off as one half of the comedy duo Martin & Lewis in the late forties and early fifties. When he and Jerry Lewis broke up Dino’s star really took off, both in movies and on television. Most fans were surprised. Never a great actor, he still put in a couple of solid performances – The Young Lions (1958) and Rio Bravo (1959) – yet it was the quite pathetic Matt Helm films of the sixties that appealed to the younger set at the time. Dean’s television show was a huge success, due almost entirely to his affable personality, his cool professionalism and his unerring flair for humour. The death of his son Dean Jr in a plane crash in 1987 devastated him and he never really got over his loss. Spending his final years in solitude, Dean Martin passed away in 1995. 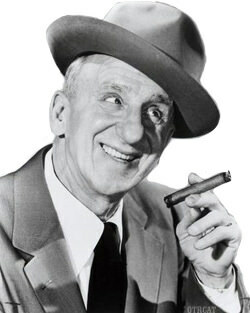 Jimmy Durante was a New Yorker, one of four children born in 1893 to Rosa and Bartolomeo Durante, both immigrants from Salerno, Italy. He dropped out of school in the seventh grade and became a ragtime pianist. As a bandleader Jimmy employed black musicians and introduced a routine that was unique for the era, often breaking into a song just to crack a joke. His own novelty composition ‘Inka Dinka Doo’ became his signature tune. 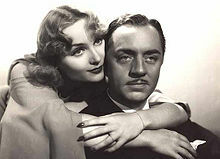 Jimmy appeared in scores of movies, occasionally headlining, and was beloved by fans around the world. Pneumonia claimed him in 1980. Vito Farinola was born in Brooklyn in 1928 to Vito and Mamie Farinola, immigrants from Bari, Italy. He made his name as a band singer and pop artist in the fifties under the name Vic Damone, with songs like ‘On the Street Where You Live’. He also made eight movies, as a dramatic actor (1960’s Hell to Eternity) and as a singer (Kismet and Hit the Deck, both in 1955). Vic made four pictures with the lovely Jane Powell at a time when musicals were all the go. Two of his five wives were actresses, pretty Italian Pier Angeli and African/American beauty Diahann Carroll. James Darren arrived in this world as James Ercolani via Philadelphia, to Italian parents in 1936. Pop music fans, especially young girls, idolised him after his hit song ‘Goodbye, Cruel World’ reached number 3 on the Billboard Top 100 in 1961. He studied acting in New York under Stella Adler and landed his first leading role in Rumble on the Docks in 1956. 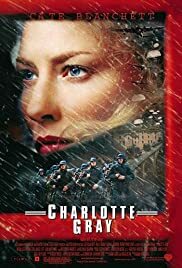 Five years later he had a showy stint in the smash hit movie The Guns of Navarone (1961), playing a Greek soldier. TV fans enjoyed him as Dr Tony Newman in the short-lived series The Time Tunnel (1966-7). In 1960 he married Evy Norlund (Miss Denmark 1958). As of August 2018 they are still happily married. Another teenage heart-throb of the fifties was Frankie Avalon, originally Francis Avalonne, also of Philadelphia. He burst onto the pop music scene in 1959 with a single titled ‘Venus’ that stayed atop the charts for five weeks. A follow-up tune ‘Why?’ also topped the charts. In the sixties he teamed up with Disney star Annette Funicello to make a handful of rather lame ‘beach’ movies that teenagers nevertheless embraced. Because of his popularity with the younger set, Frankie was recruited by John Wayne for his blockbuster western The Alamo (1960). Now approaching his 80th birthday, Frankie has been married to wife Kathryn for over 50 years. They have eight children. Bobby Rydell is yet another Philadelphian of Italian descent. Robert Ridarelli’s father Adrio, threw in his job of 22 years to become Bobby’s road manager in 1961 after his son’s recording career catapulted the youth into the big time. A string of huge hits saw Hollywood knocking on the Rydell door and before long Bobby was starring in Bye Bye Birdie (1963). The picture was really a vehicle for the new sensation Ann-Margret, but his natural talent carried him through. The ‘British Invasion’ of the early sixties, led by the Beatles, Rolling Stones and others, severely hampered his career and that of many other American pop stars. Great shot of Sinatra singing! Yes, it is a good shot, isn’t it? Sinatra of caricature.